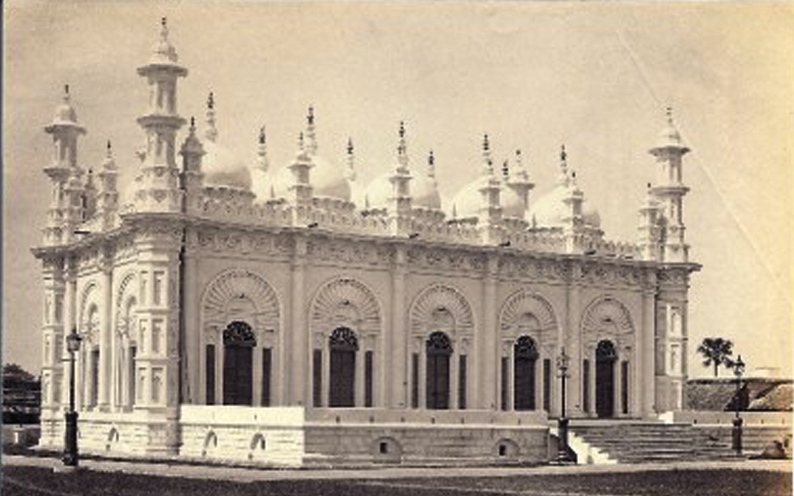 The Tipu Sultan Shahi Mosque is a famous mosque in Calcutta. Located at 185 Dhartamtalla Street, the mosque is a relic of architectural and cultural heritage. People from all sections of society and religions are allowed to visit and take pictures of this historical premise. this building was built in 1832 by Prince Ghulam Mohammed, the youngest son of Tipu Sultan. One of the finest specimens of Mughal architecture in the city, Sahi Mosque represents a distinctive architectural heritage. 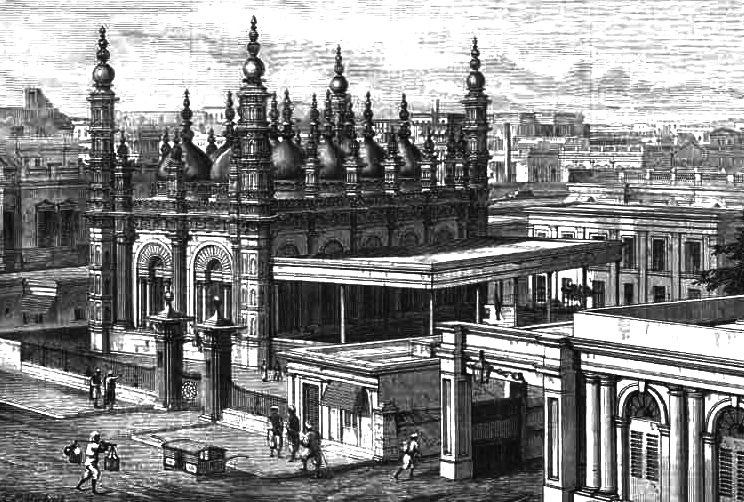 The mosque is doubled-aisled and is adomed multiple domes. It has tall corner towers. The intricate designs mosque and its rounded arches drawn from the cultural architecture lend it a subtle European look. The photograph was taken by Francis Frith in c1870s.